The client came to me with 2 heavy bangles and 2 diamond set wedding rings. These where the cherish gifts her and her husband always wore ever day. Sadly her husband had passed on, but she still wanted to wear something every day in his memory. I did some designs and she liked the idea of 2 hearts that relate to each other, but no longer can touch. 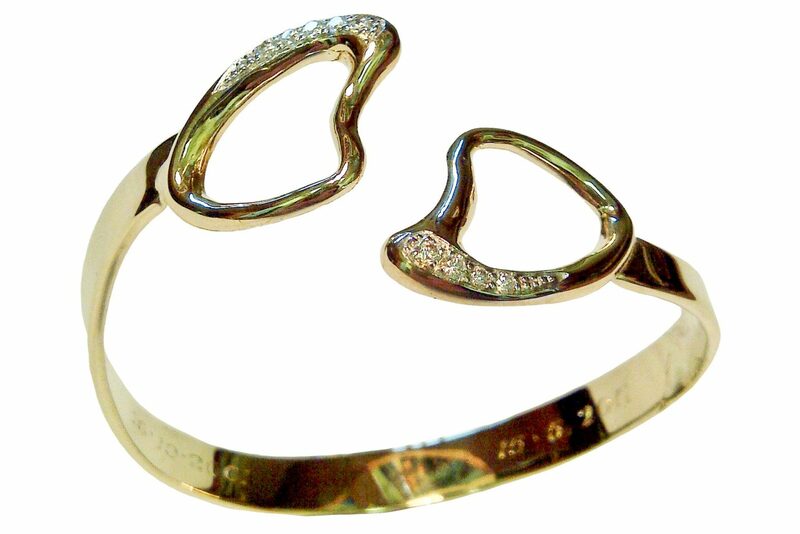 I pulled out the diamonds and melted down all the gold to hand make this bangle.